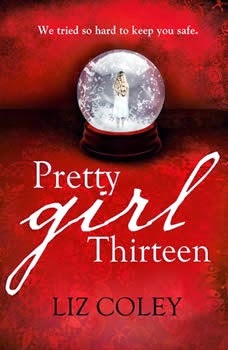 When thirteen-year-old Angela Gracie Chapman looks in the mirror, someone else looks back—a thin, pale stranger, a sixteen-year-old with haunted eyes. Angie has no memory of the past three years, years in which she was lost to the authorities, lost to her family and friends, lost even to herself. Where has she been, who has been living her life, and what is hiding behind the terrible blankness? The truth lies buried in the darkest corners of her mind. With a tremendous amount of courage and support from unexpected friends, Angie embarks on a journey to unearth the secrets of her past and reclaim her life. This alarming and fascinating psychological thriller is a disturbing—and ultimately empowering—page turner about accepting our whole selves, and the healing power of courage, hope, and love. Optioned by Darklight Content for film and TV. "Unflinchingly honest and brilliantly conceived. 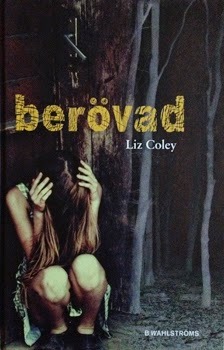 This book will haunt you." 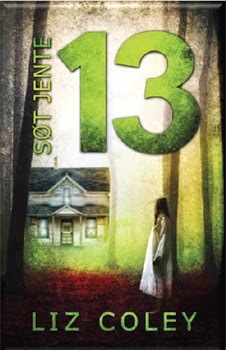 "Psychological suspense is my favorite genre. 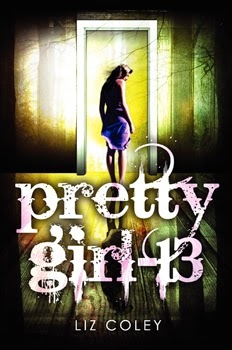 Pretty Girl-13 is a page-turner for all ages." 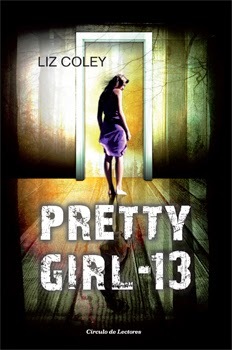 "Harrowing and thoughtful, Liz Coley's Pretty Girl-13 illuminates dark corners in this all-too realistic tale." "Une perfection !! Je l'ai lu en une journée ! (dimanche dernier). Oui, une journée seulement car impossible d'attendre la suite, d'attendre la fin ! 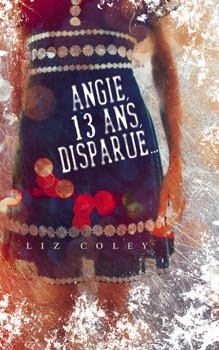 A lire absolument ! 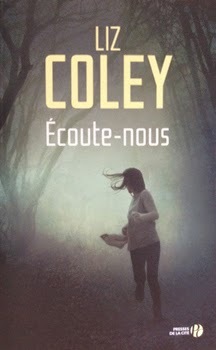 Pour tout ceux qui aiment un peu le suspense... Je recommande !" "Очень понравилось! И сюжет захватывающий, и необычная темка. Сложно было оторваться от книги, и в перерывах от чтения постоянно обдумывается прочитанное. ЧИТАТЬ СТОИТ ВСЕМ!!!" "Jestli jste někdy četli horor, thriller, drama nebo cokoli, co by mohlo být eventuélně děsivé, dle očekávání prodchnuté prožitkami lidské hrůzy a na první pohled tvářící se strašidelně, ale nakonec z toho, bohužel, vyšla spíše hororová parodie, tak Angie Chapmanová, hlavní hrdinka Návratu z temnoty, vám povypráví svůj vlastní příběh, ze kterého vám budou hrůzou stát vlasy na hlavě i po celém těle po celou dobu čtení." "Utrolig å lese om hvordan hjernen vår fungerer og hvordan overlevelsesinstinktene setter inn når situasjonen krever det. Forfatteren hadde et enkelt og godt språk, til tider poetisk og vakkert, og med korte kapitler og godt driv så vil jeg si at dette var en page-turner." "Jag vet inte riktigt vad jag hade väntat mig av boken, men aldrig hade jag trott att den skulle vara så mörk, fängslande och hjärtekrossande som den faktiskt var. Boken tog mig med storm och när jag väl börjat läsa kunde jag inte sluta." "Eu gostei tanto desse livro que devorei ele em poucos dias, um livro que causa angústia, curiosidade e medo, você vai simplesmente entrar de cabeça nessa trama junto com a protagonista e sofrer junto com ela ao descobrir tudo que ela passou e entender o motivo dela ter desenvolvido esse bloqueio mental. 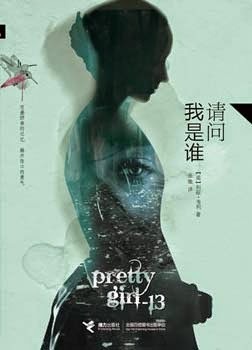 Recomendo muito a leitura, daria um ótimo filme." 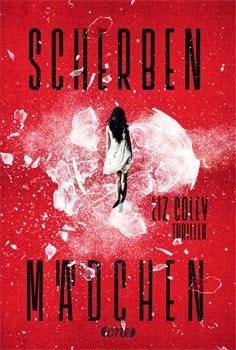 "Dieses Buch ist ein echter Page-Turner in Sachen Jugend-Thriller, ich konnte es nur schwer weglegen und war unglaublich fasziniert von Anige's Persönlichkeitsstörung. Es zählt defintiv mit zu meinen Jahreshighlights 2015, auch wenn das Jahr noch jung ist."